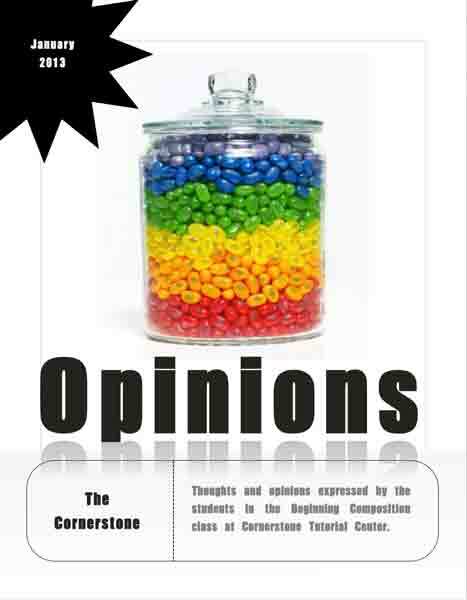 I am so enjoying tutoring at Cornerstone Tutorial Center. I just finished typesetting a newsletter called "Opinions," which features articles my writing students wrote for an opinion piece assignment. I thought they would enjoy seeing their work "published!" It has been fun watching them improve in their writing skills. Very rewarding job for me!